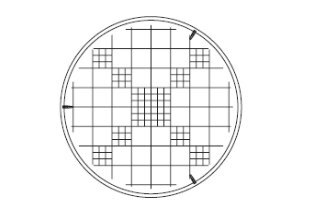 $150/case of 480 Greiner Bio One sterile petri dishes 94 x 16 mm germ count dish with calibration grid (cat# 633176 ). Free shipping on orders $200 and up. 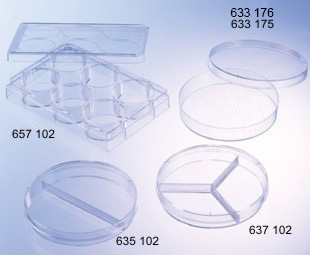 Superior Clear, high quality petri dishes from Greiner Bio One are manufactured from virgin crystal grade polystyrene for optimum flatness and high optical clarity. 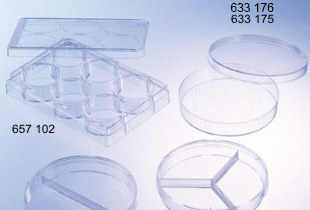 Greiner Bio One has sterile petri dish in a variety of different sizes and shapes. 35 mm (cat# 627161), 60 mm (cat# 628161), 94 mm (cat# 633181), 100 mm (cat# 664161), 145 mm (cat# 639161), 120 x 120 x 17 mm, square shaped petri dishes has non-sterile (Cat# 688102) and sterile (Cat# 688161) versions.